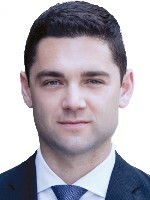 Daniel DeSantis is an attorney at Alderlaw, PC in Los Angeles, where he primarily practices personal-injury law. Mr. DeSantis is a 2017 graduate of the Consumer Attorneys Association of Los Angeles Trial Academy. He can be reached at ddesantis@alderlaw.com.